Fixed in v212 released today. The reformatted playlists makes it take a lot longer to start playing music when using controller/ keyboard. The play, shuffle, etc buttons are now on the far right and the default location of cursor is in the top left of genre list so you have to scroll all the way over to the right stopping at each genre which makes starting a playlist take longer. Previously, when opening a playlist the buttons were on the left and the playlist opened with the cursor on the first button "Play All" which made things quick and easy. I agree this is a pain. As a workaround until there is a better solution, I found that you can navigate up to the search icon (first click) right to the user icon (second click) and then down to the play buttons (third click). It’s not the best but it is better than clicking through all the genres. 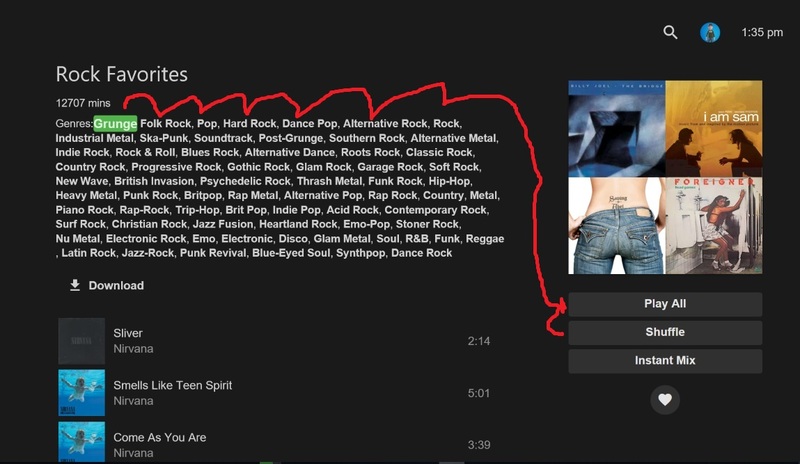 To be honest, I think the genres could be removed from the playlist view. Navigating to a genre from this screen seems like a real edge case. The first track is what will be highlighted by default. Thanks.